Labour Division hears Vascort Jones case next week Wednesday. Is there a light at the end of the tunnel for Vascort Jones of Marigot? Jones is the former security guard at the Douglas Charles Airport who was fired for allowing United Workers Party (UWP) Political Leader Lennox Linton to dispose of 'crab backs' that he was planning to take out of Dominica for which he did not have the required permit. 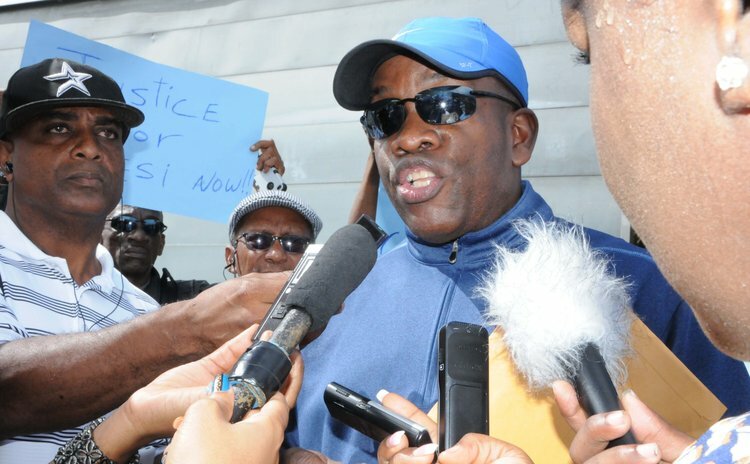 Since then Linton has delivered a petition with 500 signatures to Benoit Bardouille, the CEO of the Dominica Air and Sea Port Authority with the hope that DASPA will re-employ Jones. Apparently, Linton's efforts have not reaped the desired results since Jones has not been re- employed. The matter has entered the industrial relations dispute resolution process. The Dominica Public Service Union (DPSU) is now representing the security guard. General Secretary Thomas Letang said last week that "The matter is for conciliation on Wednesday 25, February 2015 and the union has an engagement where we will be meeting with the Labour Division." Letang explained that there is a specific procedure which has to be followed. He added that in the meeting with the division if the matter cannot be resolved then the parties will have to refer it to a tribunal. "There is a procedure that is followed; we refer the matter to the minister and the first step is to have a meeting to see whether the matter can be resolved and if that is not resolved at that meeting then the parties can decide to refer to a tribunal. That is the position; we are going to conciliation and if it is not resolved there we are going into tribunal," Letang said. Letang noted that if for one reason or the other the matter goes through the tribunal and the parties are not in favour with the decision then the high court gets involved.